Mini Split Air Conditioners and Heat Pumps offer you very efficient cooling AND heating to a room or area of your home. It is perfect for homes heated with electric baseboard or boiler heat, or the area that doesn't get good air flow. They are highly configurable and there are several options available that will fit your unique need. 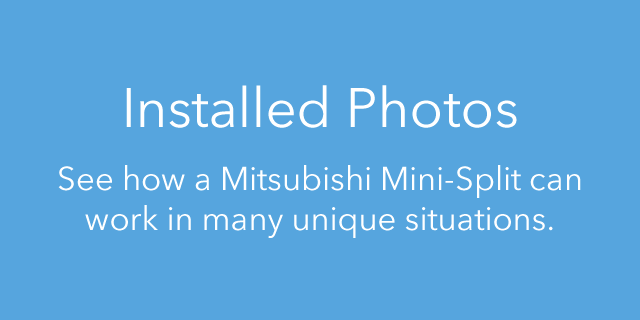 Mitsubishi Mini-Split systems give you individual control at each of the indoor unit. If you want one to be set to a different temperature or off while the other one operates you can. You can also choose to have a single indoor unit installed. The remote controls offer simple on off and up and down temperature setting, and also slides out to reveal more advanced controls for those really wanting to customize their experience. The mini-splits from Mitsubishi are much quieter than a central air conditioner. It is able to run so quietly because the motors in the system are all variable speed, which means they run only as fast as they need to at the time. You'll notice the outdoor condenser fan will only spin up when it needs to, and if it doesn't need to spin it will stop. 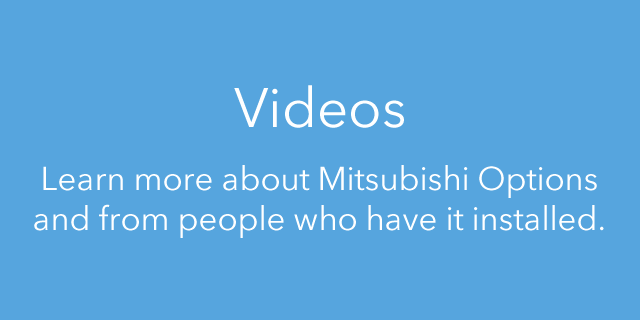 Everything Mitsubishi can do to save electricity, they do on their Mini-Splits! The remote control allows you to control it from across the room with ease. You can adjust the mode, the temperature, and set the blower speed, the angle it's blowing and much more. 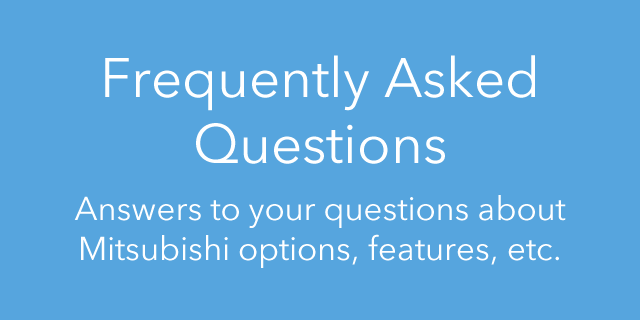 Mitsubishi units have so many combinations when it comes to 1-to-1 or 2-to-1 or 3-to-1 and the various capacities and the multiple product lines they sell... it makes it hard to give a quote on our website. Typically a 1-to-1 will range $3,500 - $4,500 depending on many variables.